Comment: in Timonium, small ranch. Comment: Over the past 6 years we have had attic infestations of squirrels. We are looking for another company for removal and pest management as the company we have been using did not keep the appointment for today which was made last Friday. We currently have another squirrel in our attic and saw insulation on our deck. We are very worried about damage to our house, wiring and new roof. Lutherville Timonium Pest Control Services are rated 4.70 out of 5 based on 2,089 reviews of 16 pros. 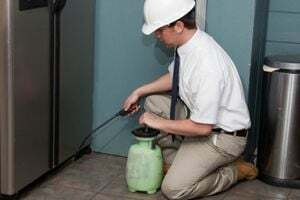 Not Looking for Pest Control Contractors in Lutherville Timonium, MD?